Catching Readers Before They Fall instilled in me that reading and the thinking that usually happens with it isn’t always natural. It needs to be modeled over and over again, then be gradually release to our students. Reading With Meaning has helped me remember that I am not teaching to any sort of test, I am teaching with best practices to making reading matter. Growing Readers has helped my planning of reading instruction immensely. It is laid out so sequentially and it is so easy to implement. I also love the lessons that are typed out so you can imagine it. Classrooms That Work: They Can ALL Read & Write is a great resource to support instruction and help you organize your literacy block. Reading Recovery is a great resource to help your fragile learners to gain success in reading. The strategies are great any time and I find them particularly useful during guide reading time. 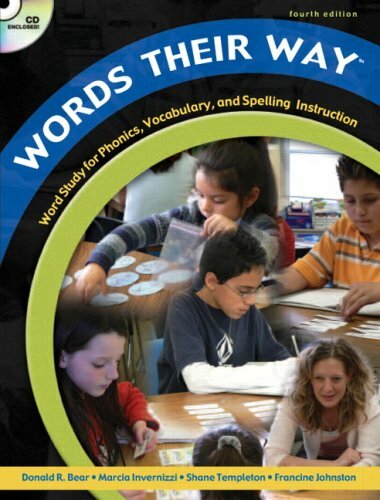 Words Their Way is great for differentiating spelling/phonics instruction to the needs of the students. Also great assessments to guide you into the stage of the writer.